The induction banquet will be held May 4th at DeLuca’s Place in the Park. Ticket information can be obtained by contacting Ron Feldkamp at 440-244-3449 or Tom Bauer at 440-282-4624 or at tbauer@bright.net. 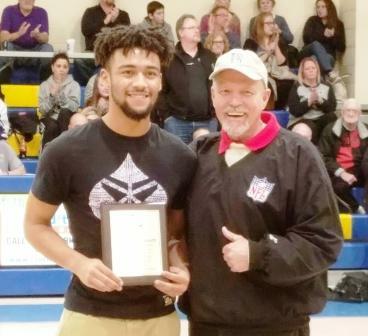 Clearview High School athlete Antonio Bennett receives a Lorain Sports Hall of Fame plaque from LSHOF leader Bill Rufo on Jan. 24, 2017. He was recognized for being named 2016 All-Ohio 1st Team Baseball. His batting average was an impressive .656. Great job, Antonio! Clearview High School athlete Antonio Bennett is pictured with his parents after receiving a plaque from the Lorain Sports Hall of Fame for being 2016 All-Ohio 1st Team Baseball. Congratulations to Antonio and his parents! Lorain High Titans Carlos Chavis, left, Zion Cross and Daesean Brooks receive plaques from the Lorain Sports Hall of Fame for their outstanding athletic achievements, on Jan. 20, 2017. Chavis was honored for being Div.-1 1st Team All-Ohio Running Back this past season. Cross was honored for his 2016 Div.-1 All-Ohio 100m dash State Championship and placing 2nd in the state in the 200m dash. 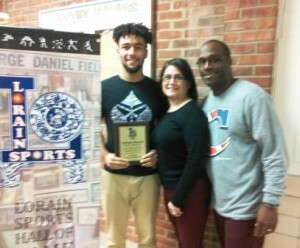 Brooks received his plaque for being Div.-1 1st Team All-Ohio Defensive Back this past season. Presenting the plaques is Bill Rufo of the Lorain Sports Hall of Fame. Congratulations to these fine young men! 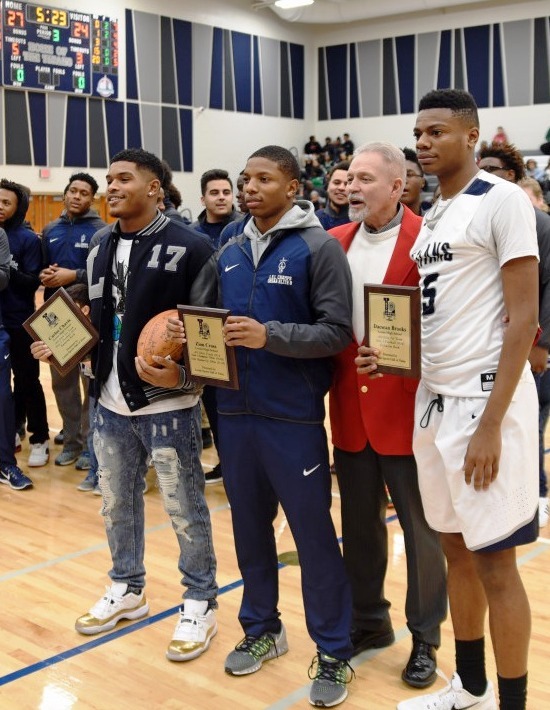 Congratulations to the Lorain High School Titans on a double milestone! 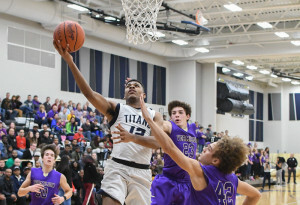 The Titans defeated a determined Vermilion Sailors team 66-57 to open the 2016 season at home on Dec. 6. It also went into history as a victory for the Titans in the first regular boys basketball game ever played in the gym at the new Lorain High School. 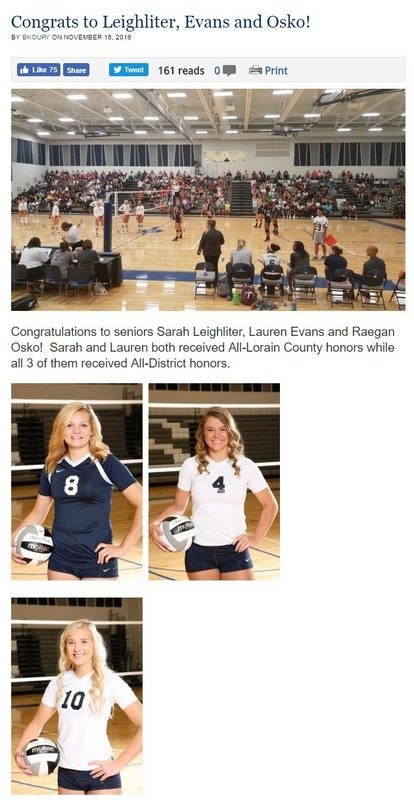 Congratulations to Titans’ All-Ohio players! 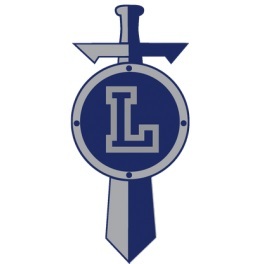 The Lorain Sports Hall of Fame is proud of you, Lorain High Titans, for your inspiring football season! Now, Olentangy Liberty moves on to the Final Four with their 24-20 Regional Finals win. The Titans’ memorable season comes to a close, after coming “thisclose” to pulling out a last-second victory. Thanks for all the thrills, Titans! Click here for game story and photos from The Morning Journal. Lorain High (10-2) will play Olentangy Liberty (12-0) this Friday, November 18th at 7:30 at Mansfield Madison Ram Field at StarTek Stadium. Presale tickets for the public will be sold at the Charleston Administration Center on Wednesday and Thursday from 8am-12noon and 1pm-4pm. Tickets will also be available to students and staff at LHS before and after school and during lunch periods. All presale tickets are $8 ($9 at the gate). Children 5 and under are FREE. There will be $3 charge for parking. Gates will open to the public at 6:00. 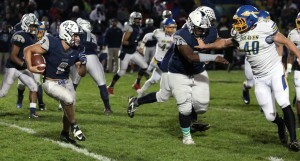 Congratulations to the Lorain High Titans who dominated Dublin Jerome in a 30-14 playoff victory tonight! The Titans now will face Olentangy Liberty for the Divsion I Region 2 championship next Friday. The Titans were down 14-6 at the half, but came back to score 24 unanswered points for the victory over Dublin Jerome. VIDEO: Cleveland Browns highlight Titans’ playoff win.